Will Barton gave the Denver Nuggets a much-needed victory against the Chicago Bulls in a thrilling 111-110 win at the Pepsi Center. 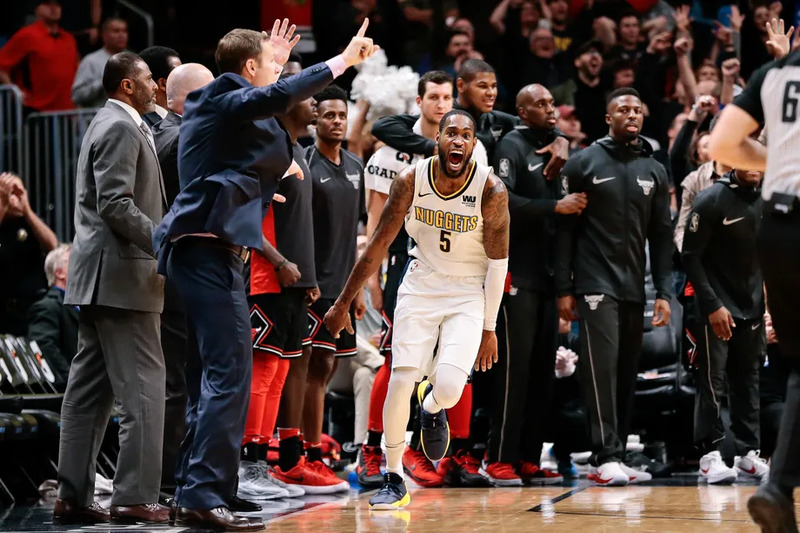 The Nuggets were down by 18 points early in the game against the Bulls but Barton dazzled his way to a new career-high 37 points, including the game winning layup with 3.2 seconds left, to salvage the team. Prior to that game winning shot, Kris Dunn, who finished 19 points, gave Chicago the 110-109 lead with layup with 9.6 seconds to go. However, Barton has been phenomenal in the entire game. Meanwhile, Nuggets coach Michael Malone was happy with the tenacity that Barton showed to clinch the victory. In addition, Garry Harris helped the Nuggets with 21 points while Kenneth Faried added 14 points and 13 boards. For the Bulls, Lauri Markkanen and Robin Lopez scored each 20 points in a loss to Denver. For more Free Betting Tips, get up to date with the news and sports events on 12BET and Sign Up now!